Please let me introduce you to 20thcenturysounds. I set this up in the summer of 1977 to turn a hobby into a business. My first booking was for factory workers of Performance Plastic Bacup and the surrounding neighbourhood, set in their canteen to celebrate the Queen's Silver Jubilee. My next-door neighbour was a manager there which is how I got the gig! I started out with a set of Squire twin decks bought from my mum's catalogue, one light, a sign and a box of records and 20th Century Sounds was born! 30 plus years later we're still going strong minus the long hair and plus a few extra pounds. The equipment's changed a bit too - gone are the twin decks and singles and in are CDs, mp3s, mixers, loads of lights and lasers and miles of cables etc.! - still, you get the picture. So if you're looking for a professional DJ with bags of experience and equipment at a reasonable cost, drop us a line. Required by many venues, 20th Century Sounds has not provided satisfactory evidence of having current PLI available. Also required by many venues, 20th Century Sounds has not provided satisfactory evidence of having current PAT records available. A Method Statement outlining 20th Century Sounds&apos; Health & Safety procedure for setting up disco equipment has been provided. 20th Century Sounds has provided Risk Assessments undertaken at events sourced via needadisco.com, indicating that they can undertake these competently. Why do people choose to book 20th Century Sounds? "Russell did a fabulous job entertaining our guests, would definitely recommend. Some fab music choices"
"many thanks for your kind feedback we wish you all the very best for the future"
"Although everyone seemed to have a good time there has been a lot of negative feedback about the dj, guests waiting an hour to hear their requests played and although asked for a variety of 80s 90s 00s and now the typical set list was the now era leaving the older generation at a bit of a loss "
"Comes as a total surprice too me played all requests can do anymore than that but i will take your comments on board"
"Russell kept the guests up dancing all evening with his choice of music , made my night complete. 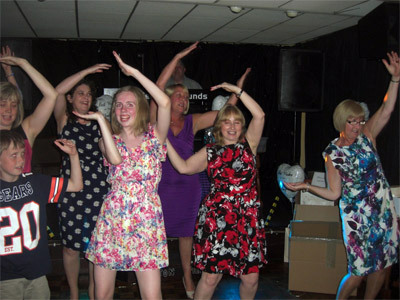 Couldn't have asked for any better "
"Glad you had a great time so did iyou made me feel part of the family"
"We were delighted with Russell.He played a good variety of 60s 70s and 80s music as we had requested plus some modern music which we had also requested for our younger guests. He arrived early and everything was ready for when people started to arrive. We would certainly use him again and would not hesitate to recommend him to anyone who needed a disco." "Glad you had a great time thanks for the feedback"
"Russell was a brilliant DJ and really made our party go with a swing. 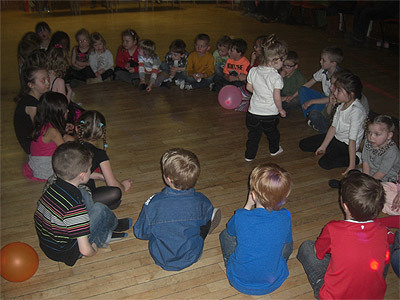 Everyone was up for a good bop and Russell's music ensured we all stayed on the dance floor! He was very organised and efficient and willing to listen to what we wanted. He also provides a disc of photographs which were fantastic. Thanks Russell would certainly recommend you!" "Glad to see you once aganin top party with real party people"
"Russell was very professional. Punctual and smartly dressed for the occasion.The music he played was perfect for the age group and the occasion. The reason I booked him in the first place was that he took photographs which meant I did not have to worry about this. He posted them very quickly on Facebook for me to see and I have now received a disc with them on. I thought this service was excellent and I am very pleased with them. I would certainly recommend him." "Many thanks for your feedback it goes a long way"
"Russell was fantastic and was one of the highlights of our big day. The music was perfect and the DVD of photos we got of our night was a bonus as we decided not to have a photographer and just have natural photos. I would highly recommend 20th century sounds!! " 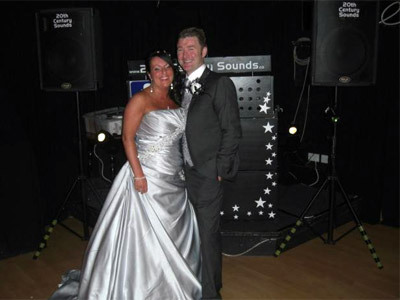 "excellent, DJ catered to our exact needs for a Golden Wedding anniversary. Everyone happy." "Really enjoyed the night and glad you did too"
"Russell was absolutely brilliant, I couldn't have wished for a better DJ. He made a brilliant night even better. His communication was excellent, he made everything easy and relaxed and his choice of music was perfect for my 40th party. Thank you Russell! I would definitely recommend him to anyone. " "This was the type of party I would have paid good money to be invited too top night"
"Would certainly use Russell again and would definitely recommend. Russell kept me informed from start to finish and the photographs he produced of the evening were great. " "Terrific night in good company really enjoyed myself here pre Christmas party and Im please you did too"
"Russell was a pleasure to deal with from the start. Always got back to me very prompt with his replies. The night of the event, he even organized some party games for us. It was a good laugh, he did great to say that there where only three ladies attending the rest where men. They are hard work to please but he did a very good job. He also sent in the post to us a souvenir of the night on a disc for us to keep which I thought was a nice touch. Once again Big Thank You to Russell." "So pleased you all had a great night"
"The service provided by Russell was fantastic. The whole process was efficient, friendly and free of pressure and stress. The music and photos were great and I would definitely recommend 20th Century Sounds." "Great service from start to finish will be using for further events, parties etc will let everyone know who is looking for a DJ"
"This really was a top night enjoyed it immensely and im glad you did too"
"Russell was fantastic, we couldn't be happier with our choice of DJ. I would highly recommend him to anyone. His choice of music was fantastic. And to cap it off great pictures that Russell took all night to record our anniversary"
"A really great night and many thanks for the kind feedback"
"Absolutely fabulous entertainment, would book again." "Excellent DJ for our daughters christening. Great music and interaction with our guests. Will definitely use again." "This really was a delightfull day enjoyed it immensely and im glad you did too"
"Russell was brilliant keeps you up to date on your booking throughout and on the day we all had a great time especially the kids with the upto date music and the classic party games"
"Glad there has a great time thanks for the feedback"
"Russell was excellent, he did everything he promised and more...he did not rush off at the end of the night and I have received positive comments from many of my guests, I would have no hesitation in booking him again or recommending him to others. The addition of having the photographs taken is such a bonus and they have provided me with lasting memories that I wouldn't have had otherwise............Great job!!!!" "Pleasant guy. Provided the service required. Photos are great aswell"
"Great party unfortunatley cut short by lack of numbers and an club steward looking for an early finish"
"Russell was brilliant and although the evening had a stressful start (due to other issues) he made sure everything ran smoothly. Brilliant DJ and will definitely be using him again! Would recommend to anyone!" "Great party dispite the club letting football fans overtake the function room"
"Great guy, great service, would definitely use again! :)"
"Another great party which kept me on my toes glad you enjoyed it"
"Although there was not as much communication as we would have initially liked (we were booking a party long distance), Russell turned out to be professional, reliable, and took some excellent photos of all the guests at the party, making it a night to remember. Would definitely recommend." "Had its issues with a non responcive venue but it was a great party in the end"
"Russell was perfect, the presentation on the equipment looked so good it really made the room. The music was brilliant and the guests had such a good time! Thank you for a great service!" "Great party glad to be party of your special day"
"I would recommend Russell at 20th Century Sounds to all my friends. He was a great DJ and played all the music requested and a lot more. Also played the requests the guests asked for. 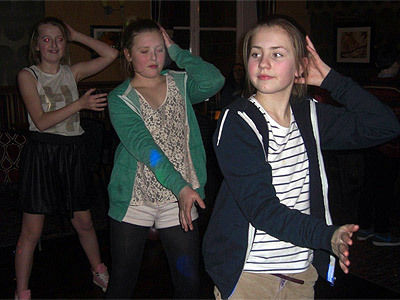 A great add on was the photo's he took on the night and sending them in a disc to remember the night. Cheers Russell once again!" "Great night dispite the snow"
"From start to finish, our experience was excellent. Communications regarding quotation and then confirmation of booking, all excellent. Discussion re music choices, and guest profile, meant that the evening went down very well. DJ arrived in plenty of time to set things up before any guests arrived. Requests on the night were handled without problem, and photos taken will be awaited with much interest. Thanks I've received for a good night out, have all said how good the music was. Would not hesitate to book them again, and would recommend unreservedly." "Great party and some great music really had a great time and Im please you did too"
"I booked this at very short notice. Russell was great at communicating and did all he could to meet our needs. He was fab! Thanks Russ!" "you were the star here thanks for your help all made a great Christmas party"
"Russell was great, he was flexible, reliable & very professional. He judged the tone of the evening perfectly & did everything possible to ensure the night was a success. The photos he took were the icing on the cake. We were so busy with the organising it was great to have someone take photos & provide valuable memories. Thank you!" "On a wild night this was a great party do please to have been part of it"
"Never had a shaving at a party before glad you had a good time"
"Very nice man, great communication, felt easy that he would turn up, and he did a fabulous job, the picture disc supplied was fabulous! would not hesitate to hire him again. Great Job ;-)"
"Its nights like this make the job worthwhile thanks"
"would use this dj again"
"Great night host let down by lack of numbers shame they missed a good night"
" Simply did as we requested with the minimum of fuss!! Would use in the future and recommend Russell to others." "Great night but boy did it rain still a great gig"
"Got complimentary disk of photographs taken by DJ - a nice added touch"
"Glad the night went well many thanks Russell"
"A very enjoyable night - we all dances to the 60s and 70s music"
"Great night loved the sixties and seventies theme glad to be there"
"lovely dj. great day. photos of day were a lovely bonus. thanks a lot." "A good afternoon shame I couldnt have stayed longer"
"The entire service I received was excellent!!!! It was completely appropriate for my daughter;s 8th birthday and all the children thoroughly enjoyed the music and competitions. 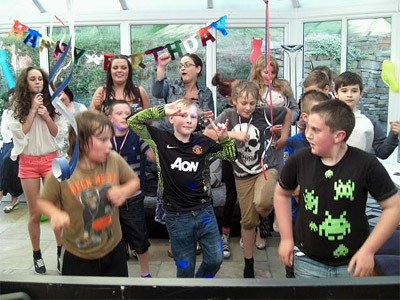 I would definitely use them again ........"
"Had a great afternoon and pleased the children did too"
"Russell was a fantastic DJ, many of my friends commented on his brilliant choices of music - just right for the party goers (it was a 60th birthday party) He orchestrated the party really well, with the cutting of the cake, happy birthday, group photo etc. He was excellent and would not hesitate to recommend him. A lovely touch is the CD of photos he does for you." 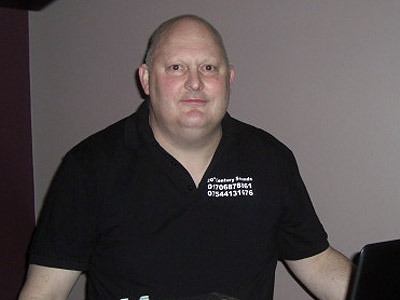 "Lovely comments much appreciated glad you enjoyed it great club and even greater crowd"
"A fantastic Job from beginning to end, Russell was great and would highly recommend using him for an event. Thanks again for a great night!" 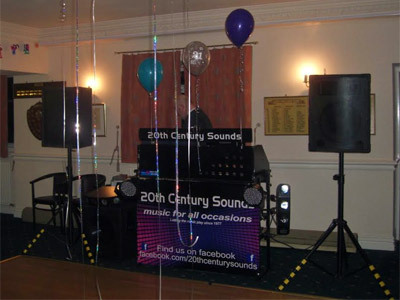 "Great party a real pleasure to be there"
20th Century Sounds also offers a range of additional party services not directly linked to musical entertainment. Please note that needadisco.com has no editorial control over these images which are stored on flickr.com. If you have any concerns about what you see below, for example potential copyright infringement or unsuitable content, you should take this up with 20th Century Sounds directly using the Contact section below, or else you may alert flickr.com directly quoting "set number 72157638767096413". If you are contacting 20th Century Sounds about an event, it's always a good idea to include the DATE, LOCATION, EVENT TYPE, AGE GROUP and TIMINGS to speed things up!